Cole Harmon is graduating with a master’s degree in occupational therapy. Harmon is one of 29 in the same field and 101 overall who are graduating tonight from Milligan College. 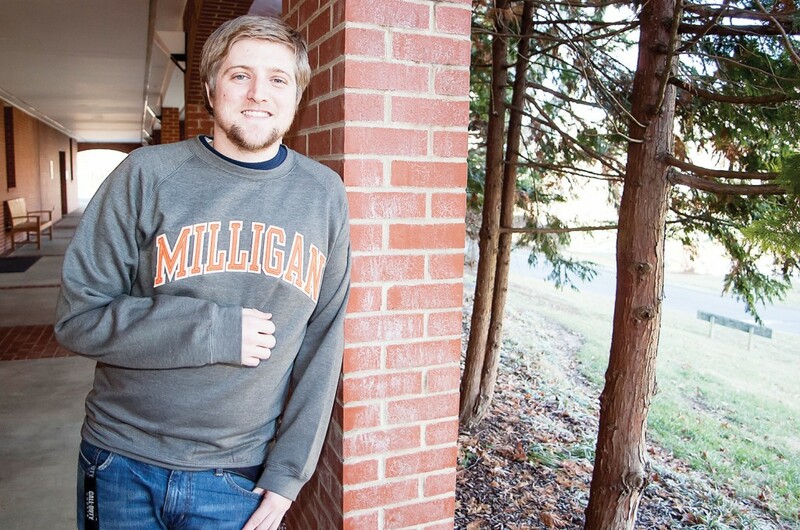 Tonight, Cole Harmon and 100 of his peers will graduate from Milligan College. But it will be Harmon’s second Milligan ceremony in less than three years. The 2006 Hampton High School graduate previously earned his undergraduate degree in humanities and history with a minor in coaching at Milligan; now, after two and a half additional years, he will walk across the stage to accept his master’s degree in occupational therapy. He said he was thankful Milligan allows students to continue their education without having to backtrack on certain classes. “That’s the good thing about Milligan’s graduate program, you can do any undergraduate program as long as you get your prerequisites in,” he said. Harmon recently wrapped up six months of clinical field work, and he has already secured a position working at Pine Ridge Care and Rehabilitation Center in Elizabethton. “Most of our students already have job placements before they graduate,” said Kristia Brown, occupational therapy office manager and admission coordinator. Harmon was also one of three recent Mountain States Foundation Don Brewer Scholarship recipients. It was always Harmon’s plan to obtain his master’s degree, and even though he has already graduated once, he said this year means he finally gets to start a new chapter in life. “Now, I’m finally going to be in the real world,” he said. It was his cousin’s tragic motorcycle accident that inspired him to pursue a career in occupational therapy, he said. “He had the wreck and he got paralyzed,” Harmon said. After spending time with his cousin during the rehabilitation process, he realized that he wanted to get involved in the occupational therapy aspect of rehabilitation. The moment Harmon is most looking forward to during the ceremony is receiving his master’s degree hood. “I’ve been working hard for that hood,” he said. Harmon said he is thankful for the opportunities afforded him through Milligan and the many resources available to him through his specific field of study. And, while it feels slightly unusual to graduate in December, Harmon said he thinks there is one big advantage for him to be able to do so. There are many benefits to allowing students the opportunity to graduate in December, Tramel said. “Offering a December ceremony allows July and December graduates to receive their diplomas in a timely way,” Tramel said. Milligan College’s December commencement ceremony will begin tonight at 7 in the Mary B. Martin Auditorium of Seeger Memorial Chapel. The December graduates include five bachelor of arts degrees, 39 bachelor of science, 19 master of business administration, nine master of education and 29 master of science in occupational therapy, according to Melissa H. Nipper, Milligan communications coordinator.